"In the present age of consumerism, people often look for quick gains and shortcuts to success. Amidst the cacophony of such supposedly wish-fulfilling claims, the need for a genuine guide, a true guru, is often felt by those who are able to look beyond the facade of oratorial brilliance. 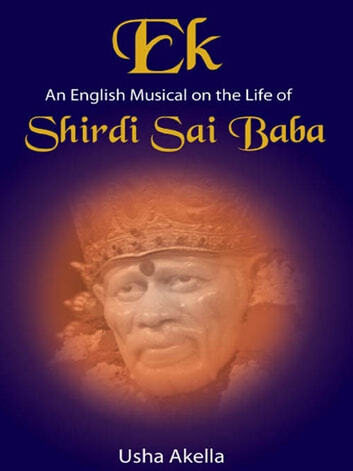 The Sai of Shirdi has been one such authentic presence whose voice has healed the injured, guided those who had lost the way, and brought back hope to those who had lost everything. Though he led a simple life, what is known for certain is that he was deeply soaked in the Sufi tradition and was knowledgeable of the Vedanta. Like Kabir, his universalism, tolerance and presence transcended the religious boundaries of both Hinduism and Islam. The significance of Baba is embodied not in his identity but in the impact his presence had on millions of devotees and still continues to have, though he may not be with us physically. 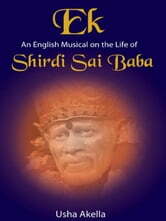 The inspiration behind this English musical, on the life and teachings of Sai, was to convey the message of this enigmatic saint to a younger English-speaking audience.